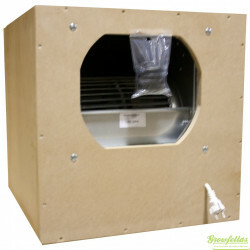 Exhausters are used to bring hot air out of the grow room and fresh air into the grow room. Exhausters can be attached to a filter to filter the odor out of the air. 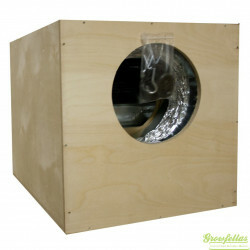 We have customized exhausters for every grower: ranging from a 190m2 tubefan to a super quiet Softbox 7000m2. Exhausters There are 12 products. The Softbox MDF is available in several sizes and extract capacities: of 500m3 to 7000m3 (!) Flanges will be delivered together with all boxes. The inside of the Softbox is isolated, resulting in very silent Softboxes. The motor is assembled inside the box to reduce vibrations. 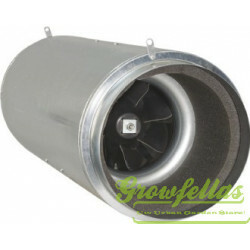 A German made fan with an integrated silencer in a metal casing, resulting in very low noise levels. The Iso-Max fan (Airforce 2) has 2 propellers: 1 rotor & 1 Stator. 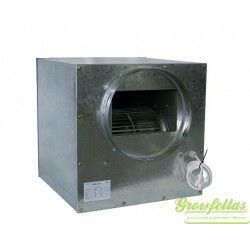 This enables the fan to produce an uniform jet of air, making less contact with the ducting which results in less pressure fall and therefore higher efficiency. 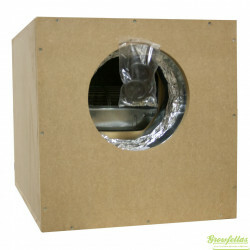 These Ruck tube fans are ideal for controlling the heat and airflow in your grow room. 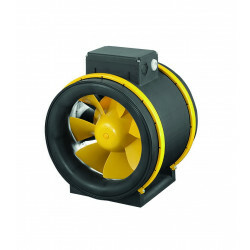 The tube fans are available in a range of sizes and power. 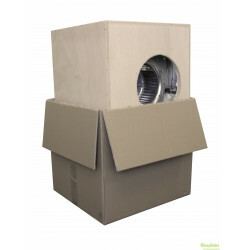 S-Vent air conditioning box High performance snail-shell centrifugal fan with an output of 5000m³/h, built into a solid metal case with foam sound isolation. 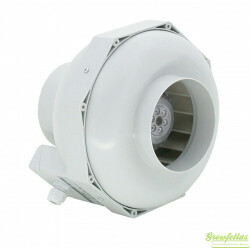 The S-vent boxfans comes in a range of sizes and power. These powerful TORIN fans are capable of moving large amounts of air incredibly quietly. 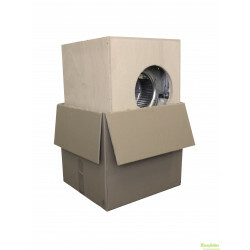 The acoustically insulated cabinets absorb almost all the noise, so there may be no need for a silencer, even with the largest fans. Torin extractor in chest of birch wood. 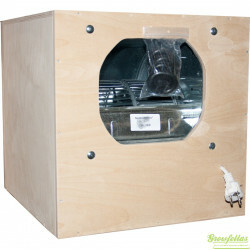 The birch wooden chest is isolated against noise with special isolating material, resulting in a very silent extractor. 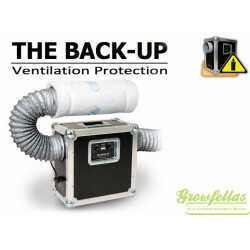 The Back-Up starts exhausting automatically in case of power breakdown. The Back-Up stops when the power works again. The flickering LED's on the display indicate if power breakdown took place. By switching to the Reset-mode this detector will turn off again. Box for wooden extractor 2500/3250 m3 Box for metal extractor 1200/1500 m3 The boxes are not suitable for softboxes. Box for wooden extractor 100/1500 m3 Box for metal extractor 250/500/750 m3 The boxer are not suitable for softboxes. 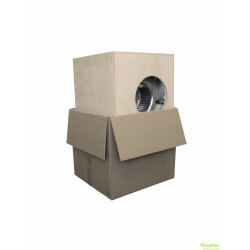 Box 40x36x36cm Box suitable for wooden extractor 250/500/750 m3 These boxes are not suitable for softboxes.